3) THEY ALL look good. Maybe it’s just because I’m from the Midwest. But to me, everybody in NYC looks like they go to the gym. I had tried a bunch of times to gain weight previously, but to no avail. Being around all these jacked guys made me want to give it another shot. But I needed to try something different. So last summer, I hired a personal trainer in NYC. And I was super happy with the results. So happy that I was thinking about maybe getting another trainer in my hometown after I went back. The only people who say that are the people who have those fancy credentials. They just find the most ripped person they know, and ask THEM what to do. Years ago, I was interviewing for an internship at a startup. I had a good resume, and the people at the company knew I went to a good school. I thought I had the offer in the bag. But I never heard back from them. I found out later that they hired some guy from a random community college in a city I’d never heard of. He didn’t have as much related experience either. It turns out that people applying for a job care more about their owncredentials than the people who are hiring them. Average applicants obsess over getting the right credentials and being “qualified” on paper. Meanwhile behind the scenes, companies are playing a totally different game. They’re obsessing over finding the right person to solve their problems. Companies can sometimes get over a hundred applications for a single position, so they need to have some way of weeding people out to keep that number manageable. The best way of doing that is by saying “graduate degree required”, “5+ years of experience required”, etc. What they’re REALLY thinking is “we don’t want to go through a bunch of applications of people who don’t know what they’re doing — a person with 5+ years of experience could most likely do a good job”. If you can prove to them that you can solve their problem, you instantlydecommoditize yourself, and none of those things on paper matter as much. This is exactly how I’ve gotten interviews and job offers for positions that require masters degrees, MBAs, degrees in subjects I’ve never studied, and more years of experience than I have. So how do you prove to them that you can solve their problem? Do the job before you get the job. For example, if you’re applying for a sales/marketing role, a good pre-interview project could be selling some of the company’s products and writing a document about it. If you’re applying for a design related role, you can mockup some new designs for the company and tell them why you made those decisions. Today, I’m going to show you exactly how to choose the perfect pre-interview project (including real life examples), who to send it to within the company you’re applying to, and how to structure the email to so that it’s well received (I’ll even give you sample email templates to use). This process is not as quick as sending your resume out a bunch of times, but it is more effective. While everyone else is spamming their resume to a hundred companies just to get a few interviews (if any), you’ll pick just a handful of jobs to apply to andcrush them all. First, go on some job boards, and choose 3–5 jobs you’d like to have. It’s OK if you’re a few years below the minimum experience level, but not TOO far below. If you’re just a college grad, don’t go for senior level jobs that require 7–10+ years of experience. But you CAN go for jobs that require, say, 3–5 years of experience even if you only have 1. It’s OK if your education level is a little below the required amount, but again, not too much below. For example — even though I never went to grad school, I’ve been able to get interviews for internships that required an MBA, and full time jobs that required a masters, but jobs that require PhDs are out of my league. Make sure that you can actually DO the job. You might not need credentials, but you do need the skills to get results. Once you have your 3–5 jobs, move on to step 2. By getting a good understanding of what you’ll be doing everyday on the job, you’ll know exactly what the perfect pre-interview project should be to prove that you’d be the right fit. The only thing you really need at hand to figure this out is the job description. Make a special note of the day to day tasks you can do right away. For example, “analyzing churn data” isn’t something you can immediately do (because you need a good amount of internal information for that) but “form partnerships with local businesses” definitely is something you can help do without already being at the company. Now that you know what the company expects you to do day to day, you canactually do it ahead of time and prove to them that you can solve their problems. When I was applying for a business development role for Kiip, I pitched a few companies on forming partnerships with them, and introduced them to the biz dev team. I ended up getting an offer. When I was applying for product development related positions, I ran quick usability tests on companies’ products, documented my process, created some design suggestions and sent it to the head of each design team. Here’s an example of what I did for Airbnb. This sort of thing got me interviews at major tech companies like Quora, and it even led to Shutterstock creating a position specifically for me. My friend Francine Lee did something similar (but MUCH more in depth) for Dropbox, and then got a job there. 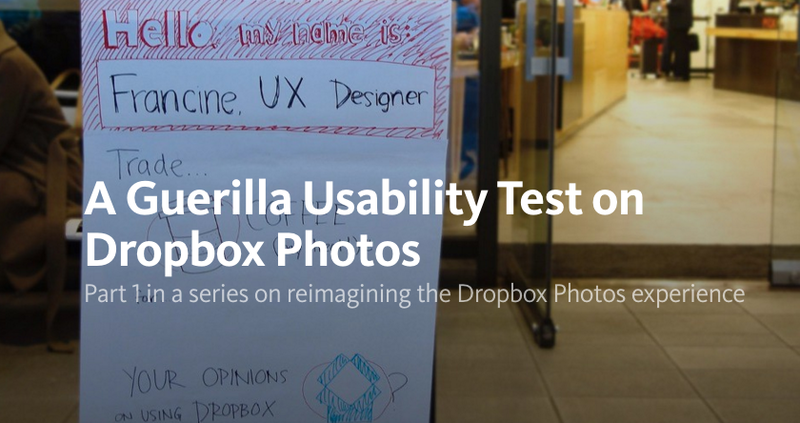 Francine did a usability test on Dropbox Photos and posted an article about it on Medium. David Rogier wanted a product management position at Evernote, so heinterviewed 23 customers and wrote 10 slides about how he could improve the product and sent it to the CEO — the CEO emailed him back in 30 minutes and asked him to come in. 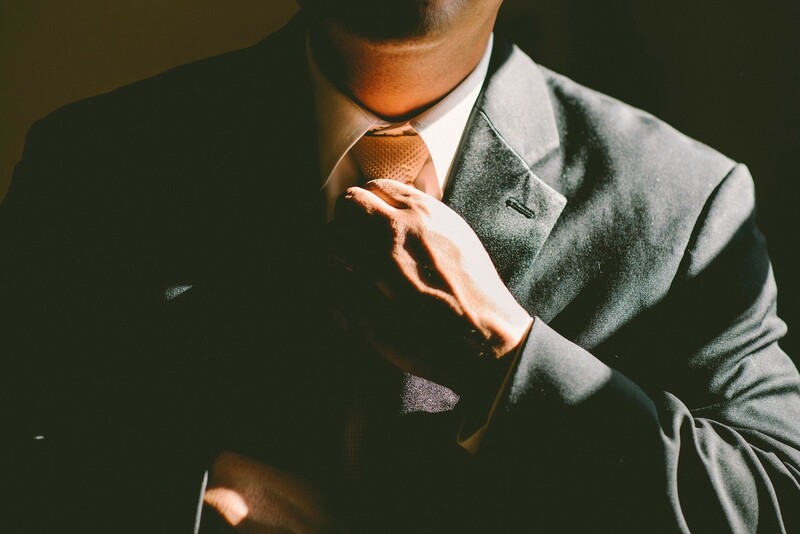 Doing a pre-interview project makes you stand out because the secret sauce ishard work. So most people will never do it. Next, you want to find the right person within the company to send your project to so that it actually gets noticed. If you’re applying to a smaller company, this is pretty straightforward — you can send it to the head of the department you’re interviewing for, or even the CEO. Most people have a personal page online you can reach out through — if not, you can easily guess their work email (it’s usually firstname.lastname@company.com or something like that). I’m [your name] and I noticed you’re hiring a [position], and I’m interested. I thought it would be helpful for me to [insert a good description of your pre-interview project] to both show my interest and the value I could bring to [company]. Thanks so much for your time — hope to hear from you regarding next steps! Just thought I’d sent it over now in case you’d like to chat about it during the interview (if you think it would be appropriate, of course). Every time I’ve done this, my interviews have gone SUPER smoothly and I usually end up getting an offer. It’s just human behavior. People want their problems solved, and they’re much more likely to hire someone who’s already working on solving them than someone who MIGHT solve them. Try it. It works. And if you are proactive, do a project specifically for a company, and they STILL don’t respond, what does that say about their culture? Then you know that company is not the one you want to work for.